and StencilGirl Stencils of course! Get ready! Mary Beth Shaw and Lisa Lee are hopping along with us! Mary's doing mixed media art journaling with Inchies! Mary Beth's creating beautiful modular paintings! Lisa has created this gorgeous triptych! I love SG blog hops. The art is always interesting and fun. And the he chance to win is a bonus. Hugs. so many different ways to use these little things. So much wonderful variety on what you can do with inchies! Great idea for working small. I love how each project is so different ... and so beautiful. So much fun and awesome inspiration!!! Love the blog hop always inspirational. Thank you Stencil Girl. I love the new inches! I can picture something in my art already! You just choose the right beautiful colors together and I was surprised that the pan pastel gripped so well on the plain background! so fabulous! been waiting to see the hop this week, so many wonderful pieces to be inspired by! Thanks so much! Thank you ladies for all the beautiful projects of inspiration. Each one is beautiful and so unique. Off to hop. Can't wait to see the gorgeous projects. These are all great pages! Thanks for the chance to win! 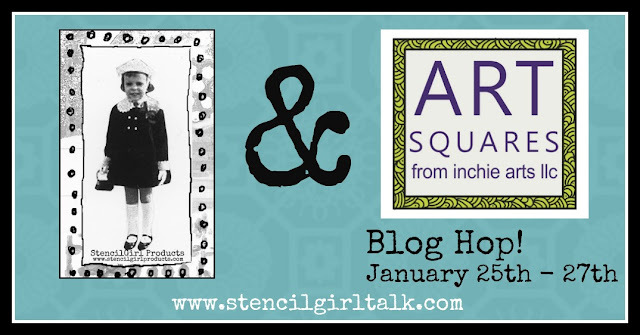 There is lots of inspiration here...and there are many many Stencil Girl stencils perfect for inchies! I love all the projects and they are all so different! Thanks! I am amazed every time I visit your blog by all the different looks that can be achieved with stencils. I am inspired every time I visit. ALWAYS like the new ideas here! The colors are super and the inchies SO cute! Love the projects using the inchies. Thanks for a great blog hop. I look forward to all the wonderful creations!!! Inchies are a fascinating thing - just a tad scary to work on such a small scale. Love all these beautiful projects! Thanks for the chance to win such wonderful products! So many, many different ways to use these stencils. Wish I could remember when I get my paints out. Guess I better get the ipad out when I work. Thanks for sharing. Just found you guys ... the blog hop sounds inspiring! Oops (did something wrong there)! Inspiration here is awesome! Mary Beth's squares inside squares...amazeballs!! Love this hop! So much creativity! Love that tutorial with the feathers. Couldn't find a place to comment there so I hope this counts. I LOVE your stencils! 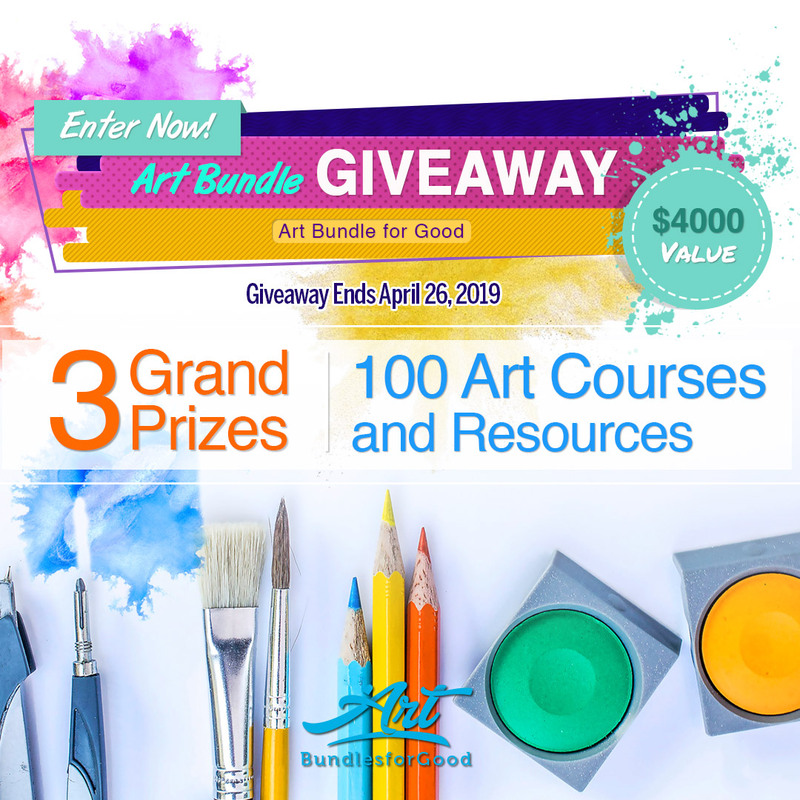 And would LOVE to win the gift certificate, ATC's & Art Squares. That's the size I typically work with anyway! Pick me! Pick me! I love blog hops & stencils! More wonderful projects - you are all such talented artists! Missed day 1..the projects look interesting ,off to Hop !! This looks like fun. Need to learn more. thanks. Great fun ahead, love doing these hops I always get inspired! Thanks! Wow! These project are all beautiful!!! I did this hop backwards but backwards or forwards, it was a great hop and I have been inspired by it. Thanks so much. Such fun projects today from the art journal to the framed piece by inchie arts! Beautiful work!! Thank you for sharing.